"Finally — a fun, reliable, creative copywriter who gets this content thing." Are these words you'd like to hear coming out of your mouth? Then we should talk. You've got a marketing empire to grow. I'll plan, research and create top-notch content to reflect your brand and attract exactly the quality leads you're looking for. Let's do more than just "provide value". Let's treat your audience like what they are: allies, partners, friends. I create exceptional content true to their wants & needs. Well-crafted copy has this weird ability to convince people almost without them noticing. I do that to you audience, but in a non-creepy way. "Love the site copy, love the approach with the tone of voice! I can't believe we only met once for an interview — it feels like you've just got me and what the company's all about." Time was, a copywriter just wrote words. These days we call that stuff content — and it needs to be more exciting, tailored and valuable than ever. Your audience are getting smarter by the day, and they won't stand for being blatantly sold to. No, they want to be seduced: with stuff that answers their questions and speaks to their values. It's this newfangled thing called content marketing, and the great Seth Godin himself says it's the only marketing left. Luckily, it's also lot more interesting than boring old "BUT WAIT, THERE'S MORE!!" sales copy. It's about getting to know your audience better than they know themselves, sniffing out stories, and daring to combat dull marketing comms with pure creativity. And that's why I do what I do. 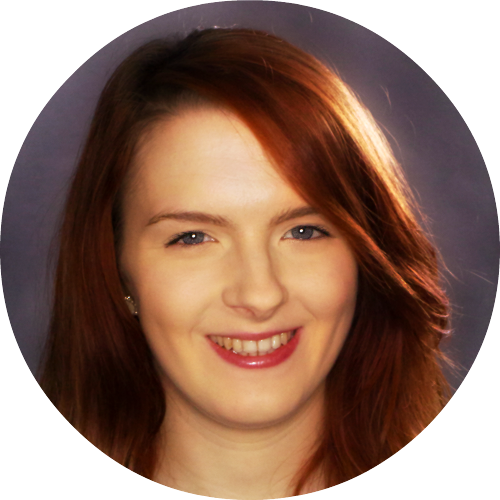 I'm a copywriter who specialises in creating content your audience will love. So what do you want? We'll meet up to chat about your brand, your audience and where you want to get to. Coffee's on me. Interviews, surveys, discrete stalking. Whatever it takes to figure out what your audience really craves. Great copy is a blend of free-thinking art and time-tested formulas. I use both when I write. What do you need to use your content confidently? I can help with strategy, distribution and more. I was asked to create an e-book to consistently generate high-quality leads. It needed to offer the reader real insight without being too basic or too complicated. That's because Skeleton, a video agency, wanted to really engage their target audience of marketing managers. They wanted to prove their expertise and understanding in making effective video, and show the steps they used to do it. 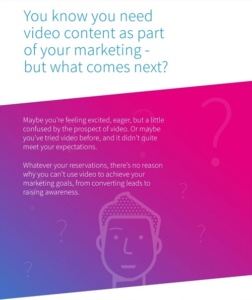 This e-book was to be the linchpin of their content marketing strategy, packed to the brim with tips and examples of video content planning. Effective blog posts need expertise, a unique angle, and a dash of fun. I do all that and SEO too. Your visitors have problems. My copy makes those problems hurt and then proves you can solve 'em. Need an in-depth guide? I'll organise the information logically and present it unputdownably. Emails fail unless they grab your audience's attention. Short, simple & surprising email copy is my thing.